Dr. John C.K. 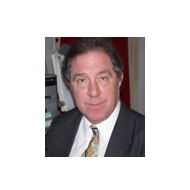 Daly is the chief analyst for Oilprice.com, Dr. Daly received his Ph.D. in 1986 from the School of Slavonic and East European Studies, University of London. While at the Central Asia-Caucasus Institute at Johns Hopkins University's Paul H. Nitze School of Advanced International Studies, where he is currently a non-resident scholar, in 199 he founded The Cyber-Caravan, which continues today under the title, The Central Asia-Caucasus Analyst. He subsequently served as Director of Programs at the Middle East Institute in Washington DC before joining UPI as International Correspondent. Dr. Daly’s work has appeared in appeared in Jamestown's Spotlight on Terror, Eurasia Daily Monitor, China Brief and Terrorism Monitor, along with Jane's Defense Group's Intelligence Watch Report, Jane's Intelligence Review, Terrorism Watch Report, Jane's Terrorism & Security Monitor and Islamic Affairs Analyst, Caspian Crossroads, ISN and the Christian Science Monitor. During 2003=-2006 Dr. Daly was a contributing editor for Vanity Fair on terrorism. Dr. Daly has been a commentator on current events for CNN, the Hudson Institute, the Middle East Institute, National Public Radio, Al-Arabiya, Press TV and Radio Free Asia, among others. Why Hasn’t The U.S. Gone After Gazprom?